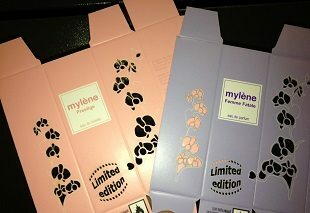 This box was produced by Antilope Printing for a Belgian company, Mylène. 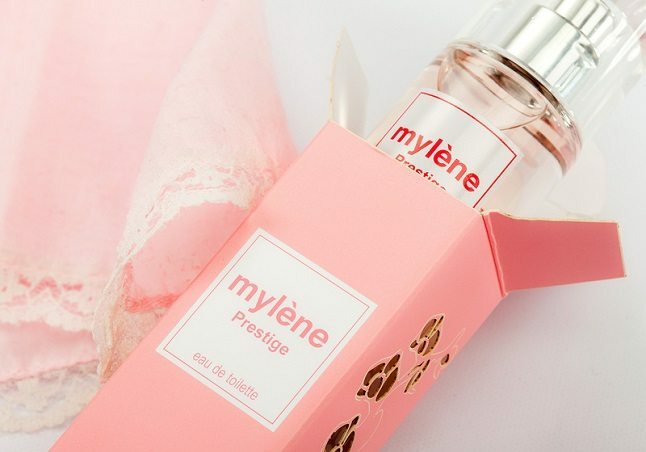 The perfume is sold online, and the manufacturer was looking for a way to make the package unique, so that even online customers would have an exciting experience and shelf appeal without the shelf. 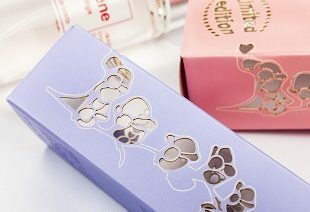 One of the challenges they faced was how to produce a very complex box in a profitable short run process. The answer was digital finishing!